I haven't done a Fast Five for what seems like an eternity so I'm going to throw down a double whammy today. We've been cutting down on meat and dairy recently and one of the things I've really struggled with is trying to find a milk alternative that is capable of making a decent cup of tea. 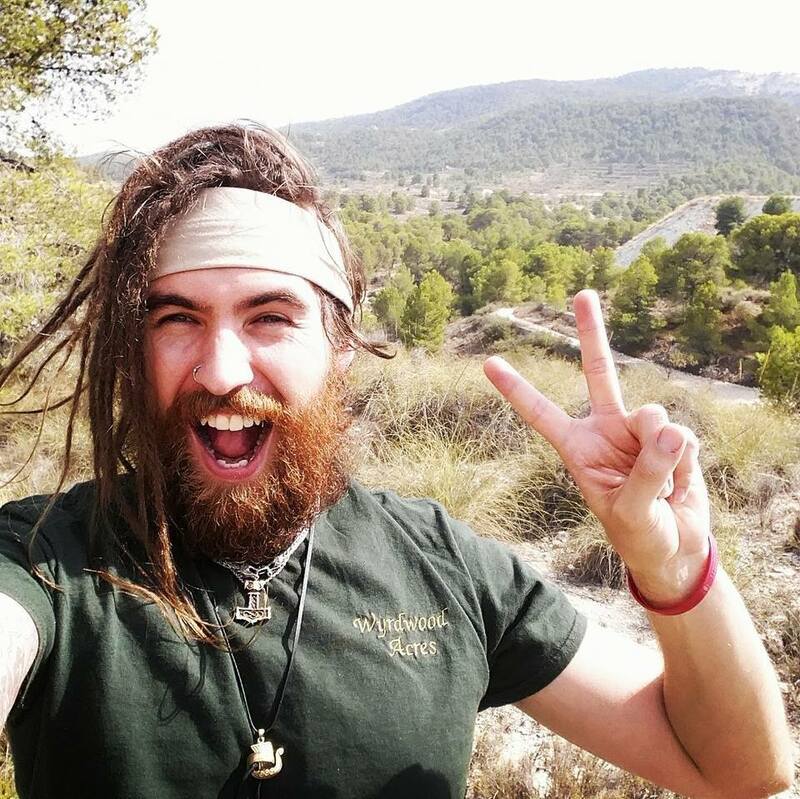 I started off with Almond milk, then came across the hemp milk whilst I was at the farm with the One Love centre. Both of these are really good, they taste great but they do have a distinct flavour, the almond makes a nutty cup of tea and the hemp milk has vanilla flavouring added so it does make a cuppa taste different, not bad, but different. 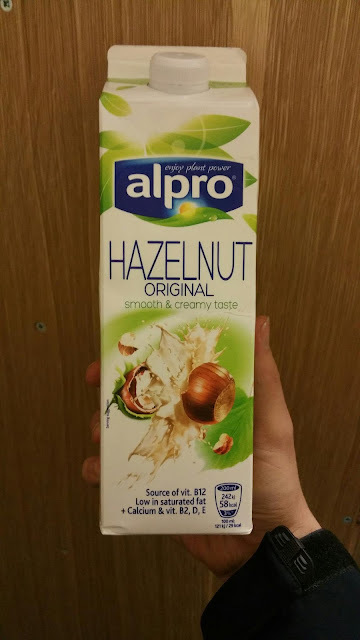 Next I tried Hazelnut milk, again this makes a great cup of tea but it still has a slight nutty taste to it, which doesn't bother me but I was trying to find a milk that other people wouldn't be able to tell when we have people over. Then I found Oat milk and it was the best thin I had tried, tasted amazing, made a rich creamy tea with no after taste and I thought my problems were solved, except that unless you put the oat milk in the glass first it starts to separate, which doesn't affect the taste but it really doesn't look appetising. Then we came across milk number 5 - Rice milk. it doesn't seperate, it doesnt have any real flavour/aftertaste, it makes a good creamy cup of tea. If you want to try a milk substitute I don't think you can go wrong with this one. I gotta admit, the Hemp milk is actually my favourite, just be aware that it does have a vanilla flavouring added to it. 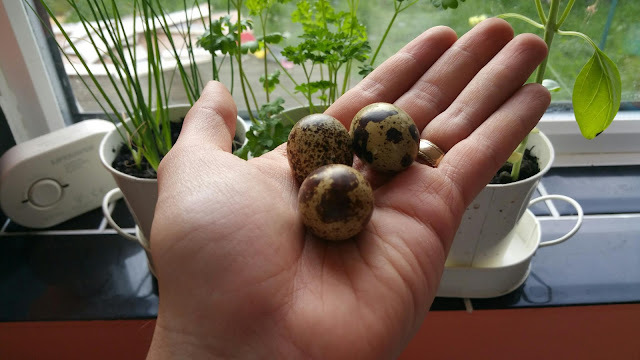 For my second Fast 5 here's a quick timeline of quail eggs, going from the very first egg our girls laid, right through to the mountains of quail eggs and other eggs we've bartered with the quail eggs. 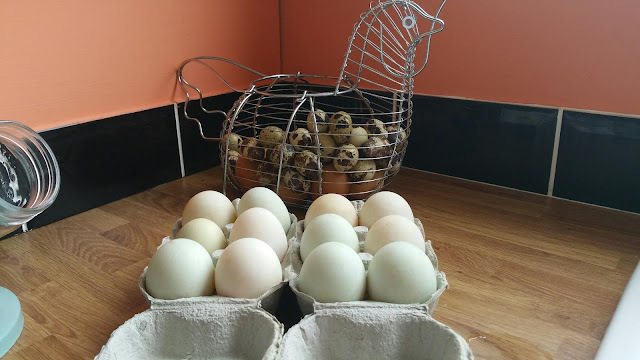 it's safe to say we'll be eating a lot of eggs from here on out, so expect to see plenty of cool recipes coming out on the blog to use up all the eggs! Hoping you all have an amazing bank holiday weekend! I was very interested to read about all the different types of milk you've tried. Goodness what a lot of eggs! How eggciting! We're getting a dozen eggs a day at the moment so its hard to keep up eating them all! we are on goats milk and I would find it difficult to go back to cows milk unless I could buy it local, having read some of the things they do to cows milk and things they add to it often through medicating the cows, A few people had said they dont like goats milk it tastes strange, I did have a try of it a few years ago bought from a supermarket and it reminded me of the steralised milk you could get many many years ago so I was very dubious when it came to milking the goats, I can honestly say our goats milk tastes just the same as normal cows milk, our milk is raw and untreated, upon doing some research on this I found the goats milk in the shops is pasturised and the heat treatment changes the taste and again they add things to it. thats exactly the thing! I have no problem with raw cow milk from a happy cow, but the way commercial milk is procured and treated doesn't sit well with me. the same goes for meat, If I could source locally from people I trusted I'd be over the moon but the stuff we call food on the supermarket shelves is appalling! Really interesting to read your review. 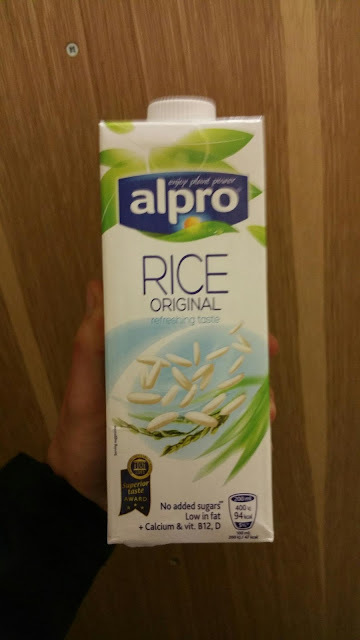 Rice milk is the one non-dairy milk I can't get on with, it's a bit soapy to me although no-one else thinks that so I do worry about my tastebuds! I'm increasingly a fan of hemp. Isn't it funny how tastes differ....I really don't like oat or rice milk, but love the nut milks, although not so much in tea, they're ok in coffee. Not tried hemp milk. 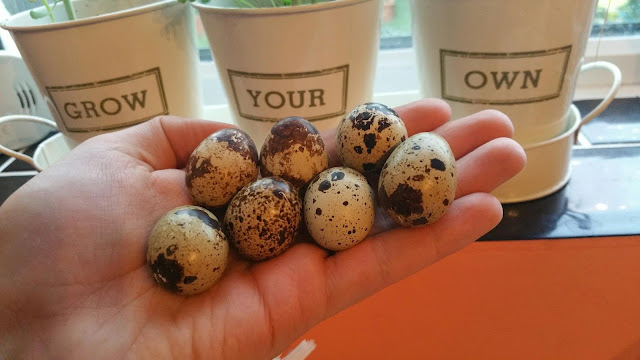 The quail eggs are so pretty, do they taste any different to hens eggs? I can't eat duck eggs, they don't agree with me (make me throw up! I wonder why that is?). I stopped drinking milk in drinks years ago, I grew up drinking raw untreated cows milk or goats milk. I love quails eggs and now you have got me thinking that I should have some, there is room in the garden for them. I can almost see a house and run with a solid top supporting growbags of strawberries. Food for thought. Ditto Pam, I have started pestering the husband. Nice post about all the wonderful types of milk. I'm not a big fan of milk. I remember having those little bottles in school that always seemed to be warm. Put me right off it. My daughter has tried several of the types of milk as she likes it but doesn't agree with her stomach. You might have convinced me to give a couple of them a go! I think it's time you stopped having any type of milk in your tea; better, methinks, to try different types of tea and find one that really doesn't require milk. My own choice is Lapsang (milkless, of course). 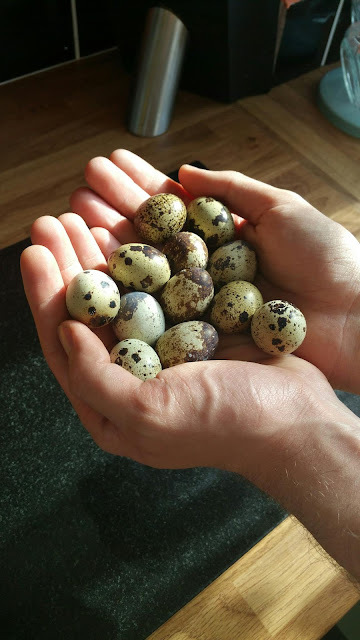 I love Quails eggs. Interesting post about the different milks I am not really a lover of any milk particularly in tea preferring lemon but certainly worth a try on cereals. Bite the bullet and give up milk in your tea and coffee, we did now when our friends visit they bring their own milk as we never have any in. PS we do have a local shop we can pop to. Interesting topic, as I have an intolerance to nut's it's nice to hear about other products. Interesting search, I don't drink milk, seem to be lactose intolerant so I've never used it in any drinks. I'm not a milk drinker, mostly because I hate the taste and I never feel quite 'right'if I do drink it. Some of the alternatives have a bigger calcium content too I believe. I can't imagine a life without milk! I prefer goat's milk, but we no longer keep goats. Like you I like a good strong cup of builder's tea, preferably Yorkshire Tea with (whisper this) two sugars. A friend of ours drank oat milk when he went vegan and said he couldn't tell the difference. Thanks for asking if I was okay TW I am indeed and even managed a blog today. First time commenter here & relatively new viewer of the blog - I love it! I use "Koko" milk. It's coconut but doesn't taste of it like the other brands. It's the best one I've found for not having a taste so to speak. A lady I work with has been converted too......,.. I'll have to keep an eye out for that one, where do you normally get it from? Enjoyed the review of milk subs and those little eggs are cute. I'm a new visitor via Five On Friday. Thanks for the visit. Great to meet you, thanks for visiting! I'm glad you finally found the milk of your dreams;)! I have the same metal chicken egg holder! 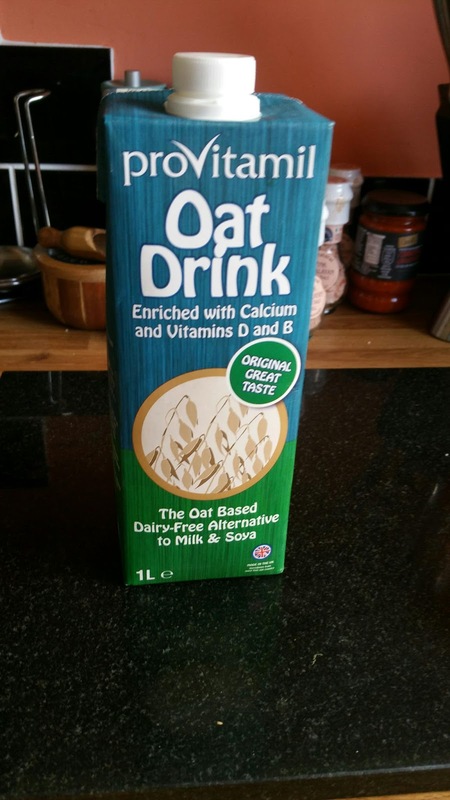 A great and useful five, i have tried a few of these milks too but not oat milk. The quail eggs look so great. I must say, they taste better than they look! I always thought milk was just milk! I must broaden my horizons, I think. 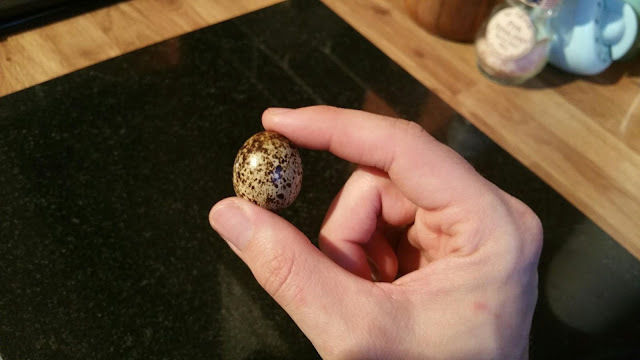 Quail eggs are such pretty little things. 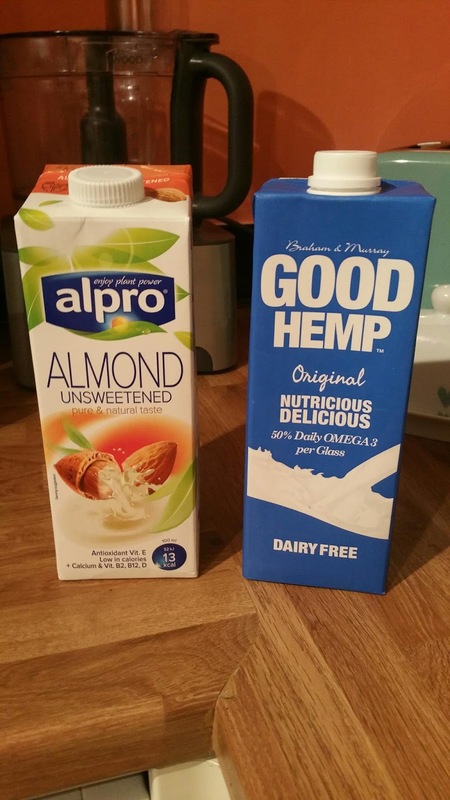 Brilliant review on milk, will look out for hemp milk as not tried that before.